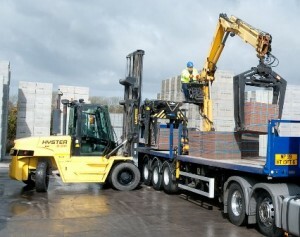 Pro-Lift are committed to providing the highest standard of forklift training in Cheshire. Each of our instructors is extremely experienced in the industry and qualified to deliver courses that benefit every level of truck driver. In order to make the training process impact as little as possible on your businesses productivity, we can send out assessors whenever is convenient to you. From bank holidays to weekends, seven days a week and 24 hours a day, we can arrive on your site when scheduled and deliver the kind of quality training that has visible results. HSE investigations have found that 25% of all accidents in the workplace involving vehicles are caused by forklifts, these are complex and potentially dangerous pieces of kit and that’s why comprehensive training is vital. Once an employee has successfully completed one of our courses, we will give them a certificate that shows what they’ve learnt. Better still, your company will be compliant with the latest HSE regulations and have expertly trained staff, meaning you’re less likely to suffer an accident that affects productivity. We have a wide range of courses on offer, from Novice Training to Refresher Training for current truck operators. This updates an experienced driver’s ability and makes sure they haven’t picked up any bad habits. Familiarisation Training enables your employees to use new equipment safely and Attachment Training ensures that any modified parts are used correctly. To find about more about forklift training in Cheshire, or for details of our Root Cause Investigation and Company Assessment services, please give Pro-Lift a call, we look forward to hearing from you.